This workshop will present strategies for developing engaging courses and workshops for qualitative researchers who are new to qualitative data analysis as well as MAXQDA software. The approach distinguishes between the tools we use to interact with primary data (e.g. memos, segments, codes and variables) and the processes we employ to search and retrieve, review and reflect, and finally reduce data into succinct discussions of research findings. We will discuss approaches for structuring methodological content and software demonstrations, using secondary data for practical exercises, incorporating individual and team-based activities, and incorporating questions related to specific research and data collection projects. On completing this workshop, you will be able to design effective courses and workshops that meet learning objectives for diverse participants and in diverse formats (semester-long courses, short courses, workshops). This course is for anyone interested in integrating MAXQDA into their teaching of Qualitative Data Analysis courses or Workshops for novice researchers in academic or applied settings. Sample syllabi and schedules for semester-long, week-long intensive, and 1-2 day workshops will be provided. Participants should have moderate familiarity with methodological approaches to qualitative data analysis and MAXQDA software. Please bring a laptop with the most recent version of MAXQDA installed (Windows or Mac) installed to this workshop. The free trial version is sufficient. Prof. Karen L. Andes is a Ph.D. Political Scientist with post-doctoral training in International Demography and Anthropology. She is a full-time faculty member of the Department of Global Health at Emory University’s Rollins School of Public Health. 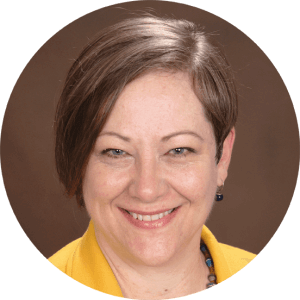 Over the past 15 years, she has offered a dozen semester-long courses on Qualitative Data Analysis with instruction on MAXQDA, as well as 20 week-long intensive courses and numerous workshops. She is currently finalizing a 5-course Specialization on Qualitative Research for Coursera in collaboration with Emory University and MAXQDA software.